Topbike Staff are hand selected. 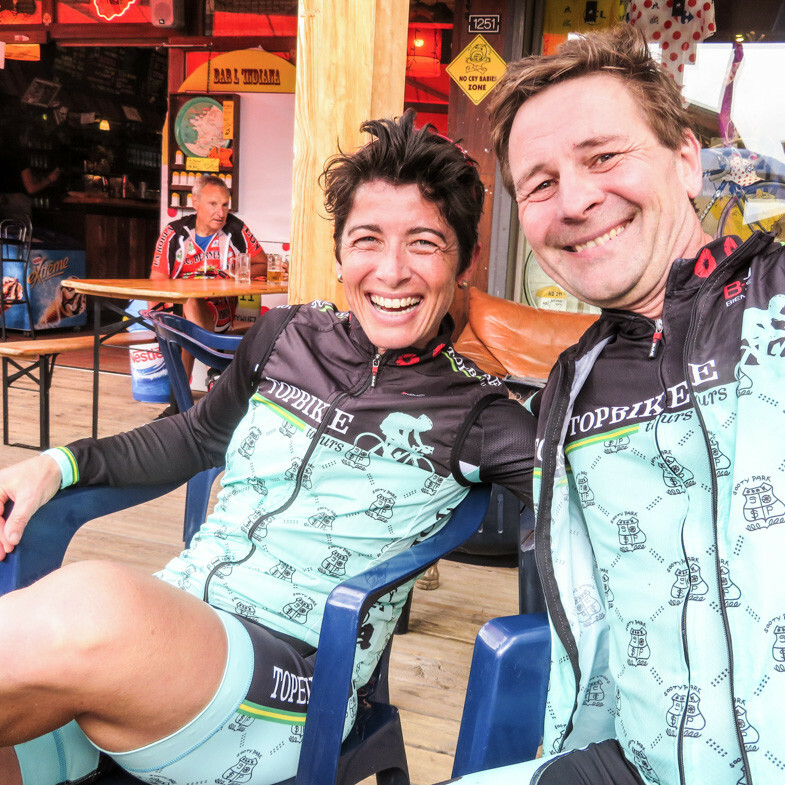 They share a variety of experience in the bicycle industry from racing to coaching to simply riding for the fun of it. Each of our staff have different areas of expertise: (language/first-aid/cycling/cultural and local knowledge etc) and each have complementary strengths. 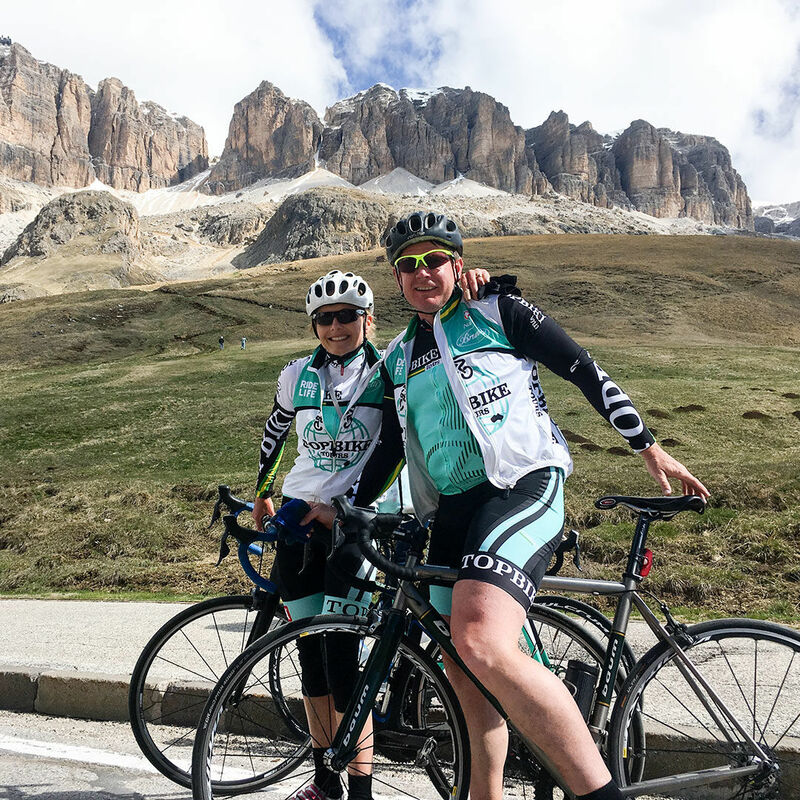 Topbike staff are more than just tour guides: they all bring a positive and upbeat attitude to your holiday to ensure that your tour experience is full of laughter and fun (as holidays should be), no matter what level of cyclist you are. 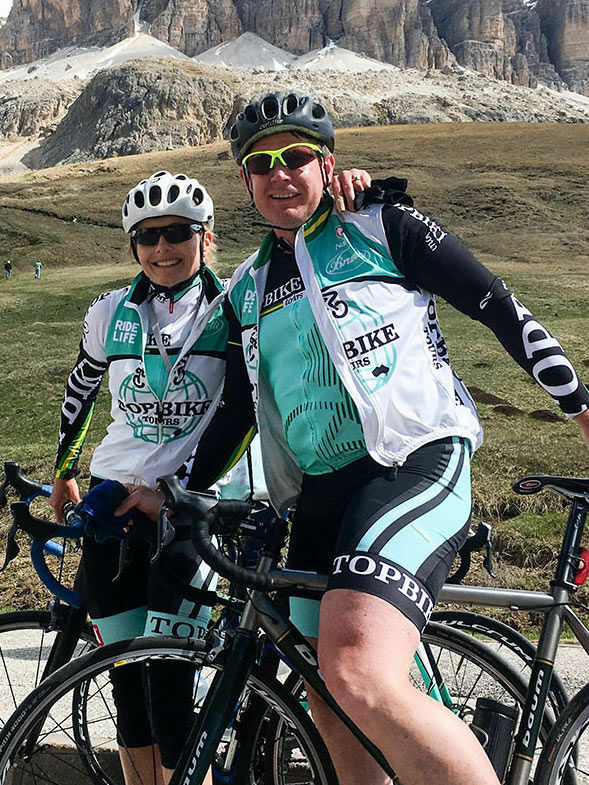 David Olle has been involved in cycling for more than 20 years, for David Topbike fulfills his life dream ‘find a job you love and you’ll never work a day in your life’. 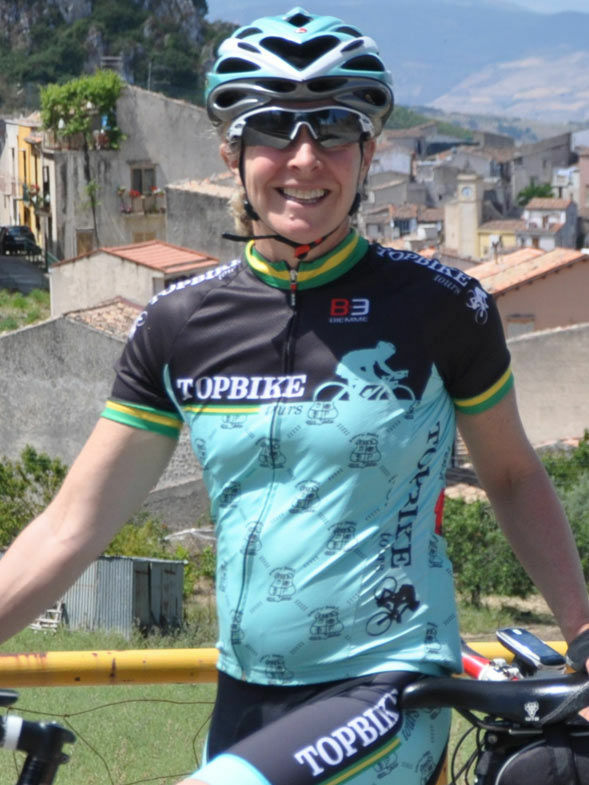 Emma Colson (David’s wife) has been involved with all things Topbike since 2003. 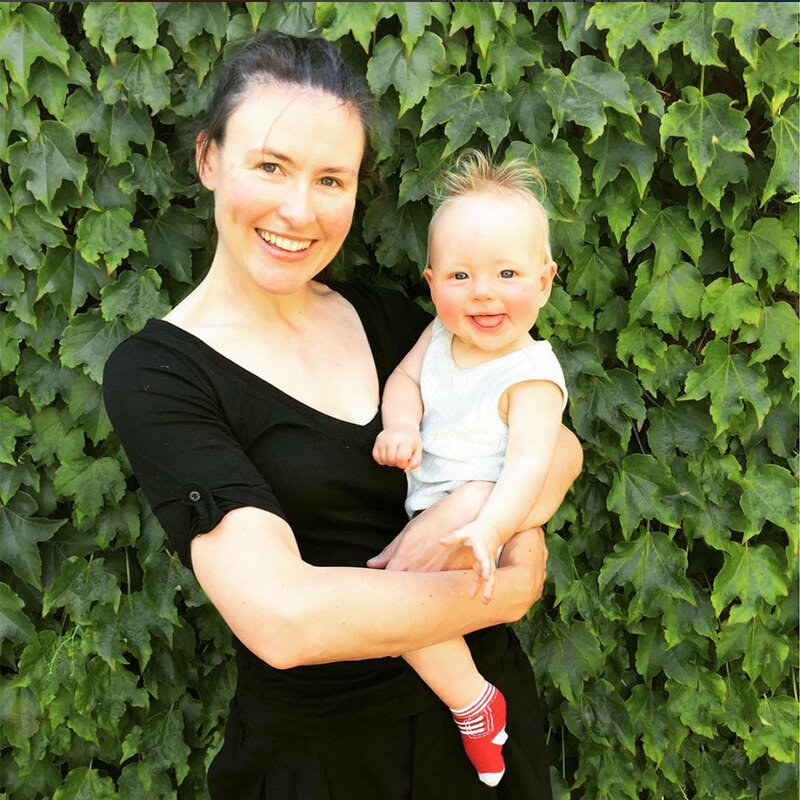 She has previous experience in Europe as Emma was physiotherapist to the Australian Women’s Road Cycling team for many years while they were based in Italy. 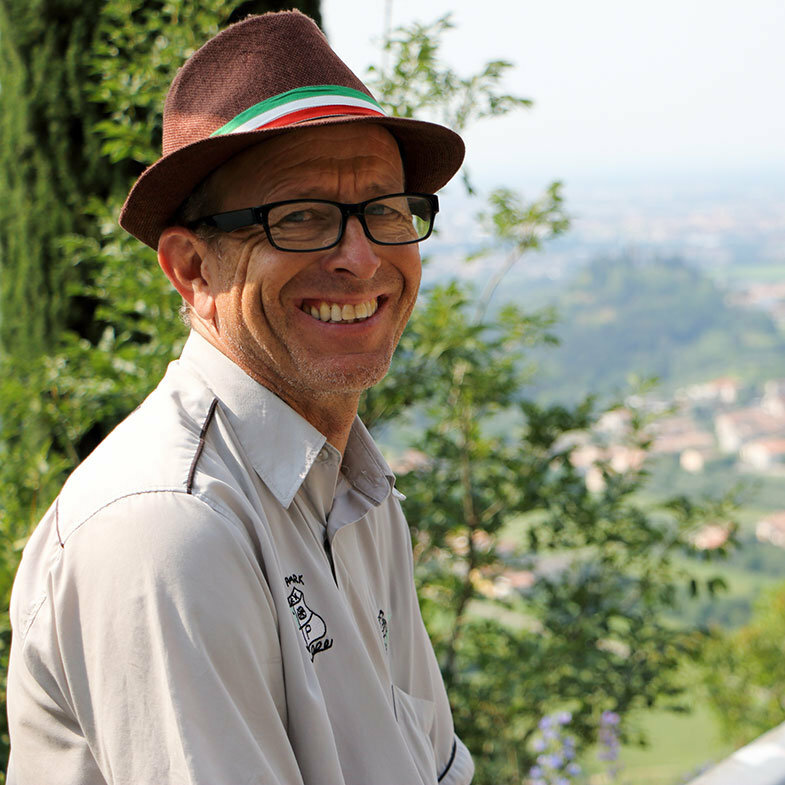 Jamie Drew has Topbike experience having previously guided at both the Giro and Sicily. 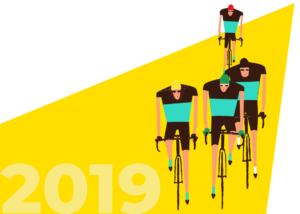 His cycling and European experience extends way beyond this as he raced for eight years in Europe and lived in both Belgium and Italy during his professional career. 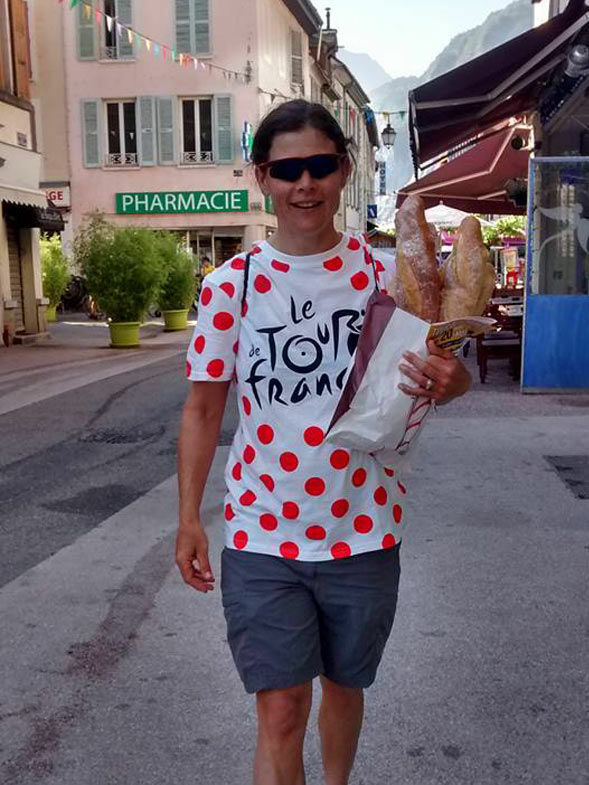 Annabelle AKA 'Annabella Fashionista' is a former professional rider in the Giro d'italia Femminile and the women's Tour de France. Annabelle is fluent in Italian after having lived in the country for many years. 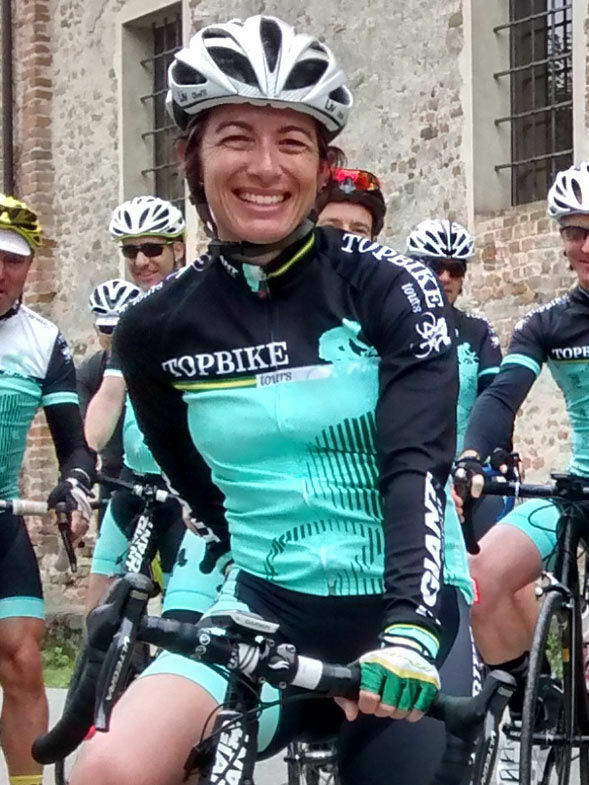 Olivia Gollan was a professional cyclist from 2002 until 2008. During this time she raced with the Australian Institute of Sport Women’s Road Team and European professional teams, Olivia represented Australia at the Athens Olympics, the Melbourne Commonwealth Games and competed in 8 World Championship events. 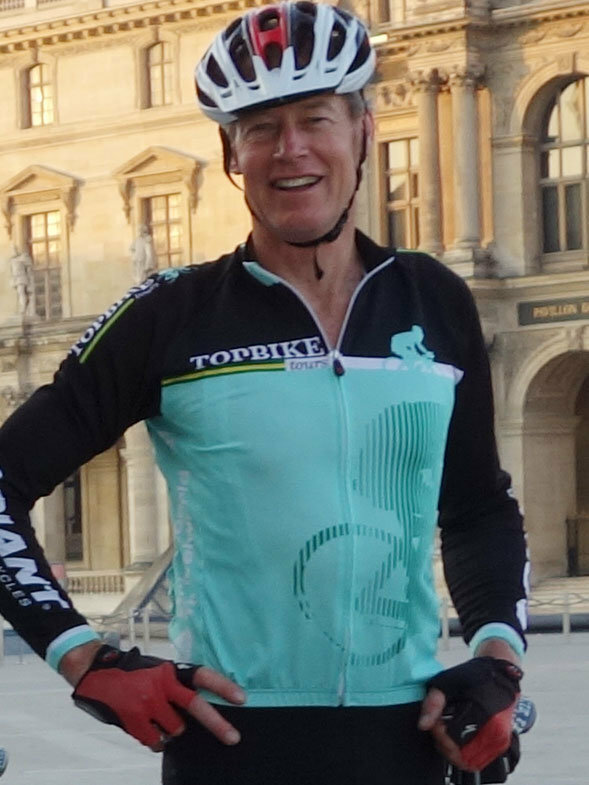 Sandy rekindled his love of cycling as an adult with club road and track racing...many winters ago. Over a period of time he went over to the dark side as a mountain biker, then onto being a pretty handy mountain bike technique instructor and tour guide. 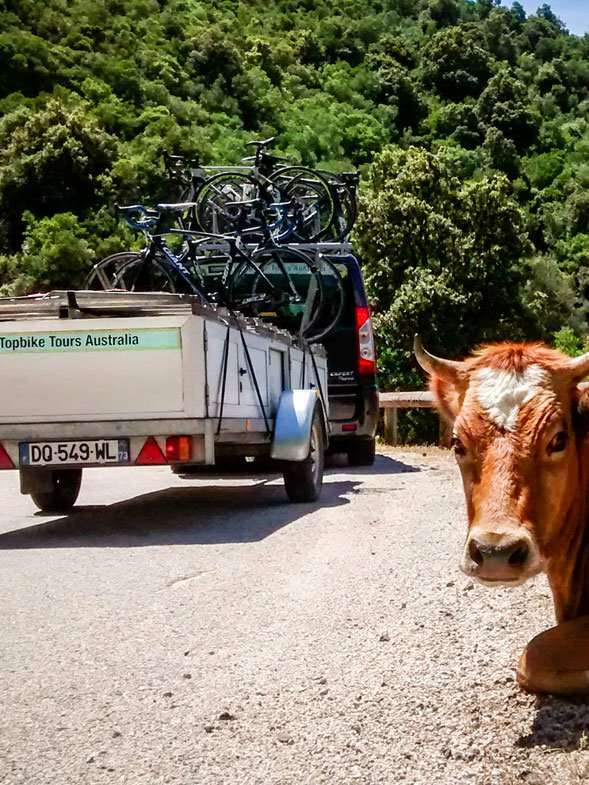 Kahn Franke has four years experience guiding Topbike Tours in France. 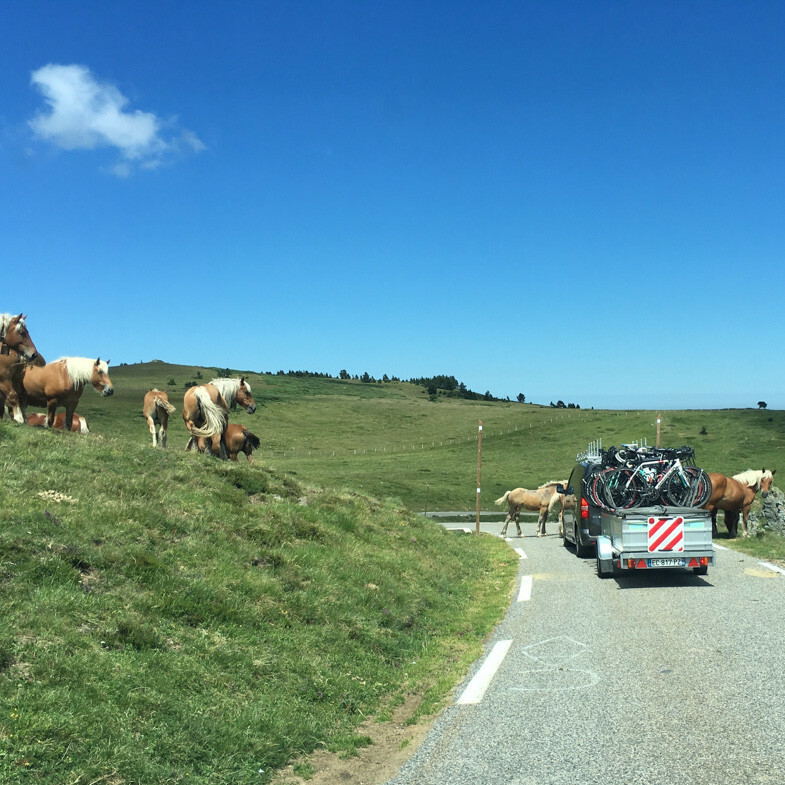 An extremely competent and practical mechanic Kahn is a strong rider with the longest arms in the world – these come in handy for pushing clients up hill! 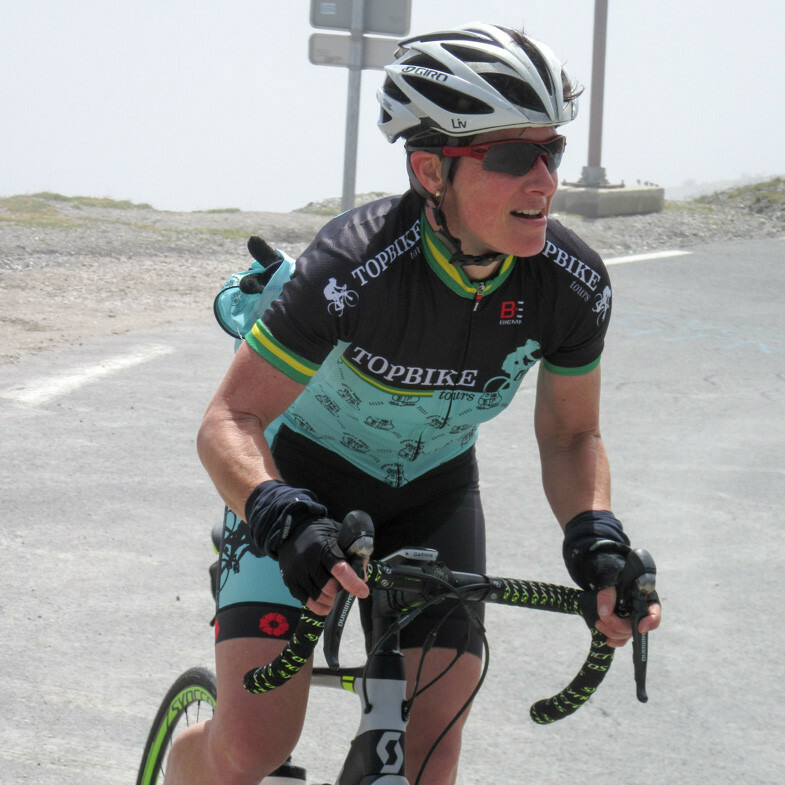 Shelley has Topbike experience on both the Tour de France and La Vuelta tours. Shelley has an illustrious past in the Mountain Bike Downhill and Cross Country scene. She was National downhill Champion, raced at world championships in downhill mountain bike and worked as Australian National Team manager in the early 2000 years. Anna Wilson’s career highlights include two silver medals at the 1999 World Championships in Italy, two fourth places at the Sydney Olympics and one medal of each colour at Commonwealth Games level. Anna has a host of international wins in road and time trial and has both a time trial and road national title to her name. Niki Fisher is one of Australia’s top female mountain bikers and has competed in Australia and Europe for the past 10 years. 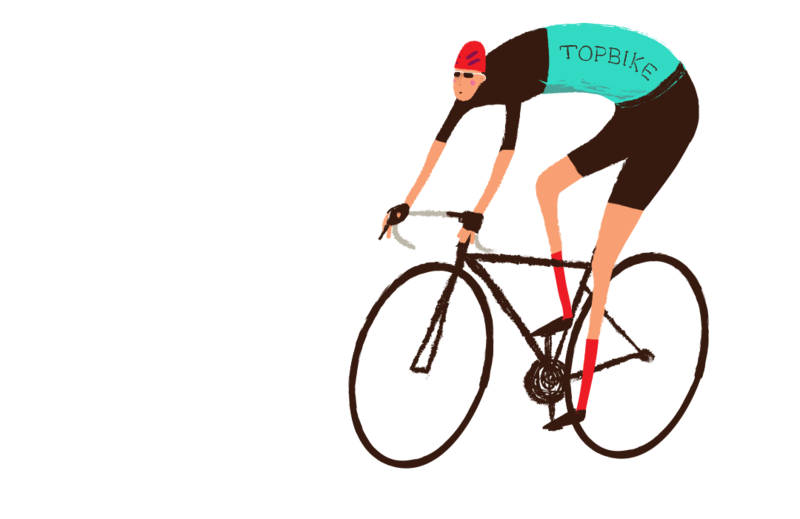 A graphic designer, Niki does the graphic design for all Topbike’s publications. Never fully recovered from having to ride a Raleigh fold up bike on her paper round as a kid, Denise sticks to dog walking these days and has looked after the Topbike online presence for the last few years and is responsible for Topbike's new re-design. 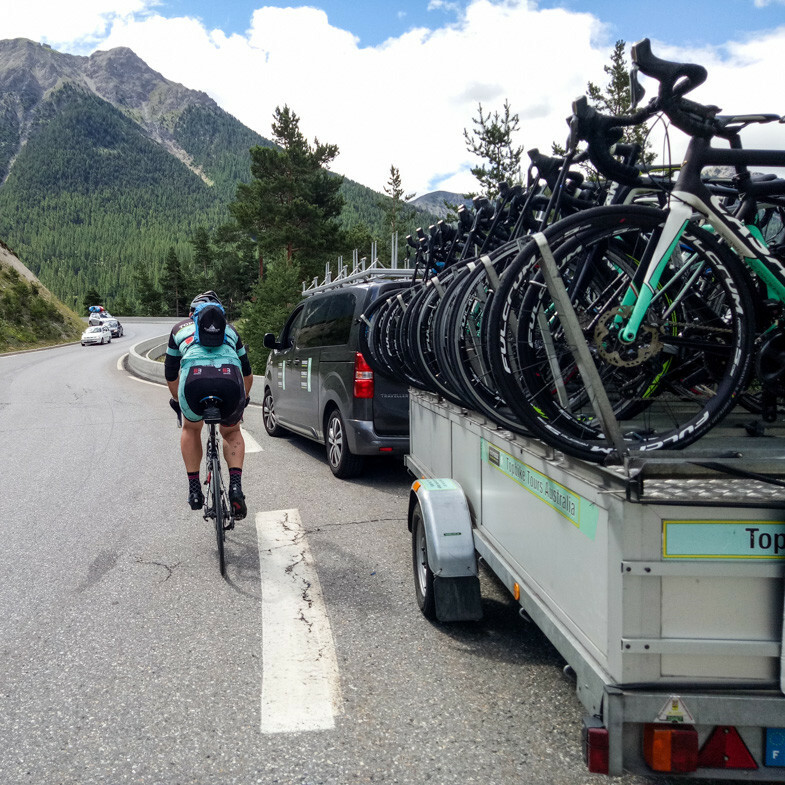 Our clever bike trailers hold your lovely carbon frame by the tyres hence preventing any transportation damage between locations. 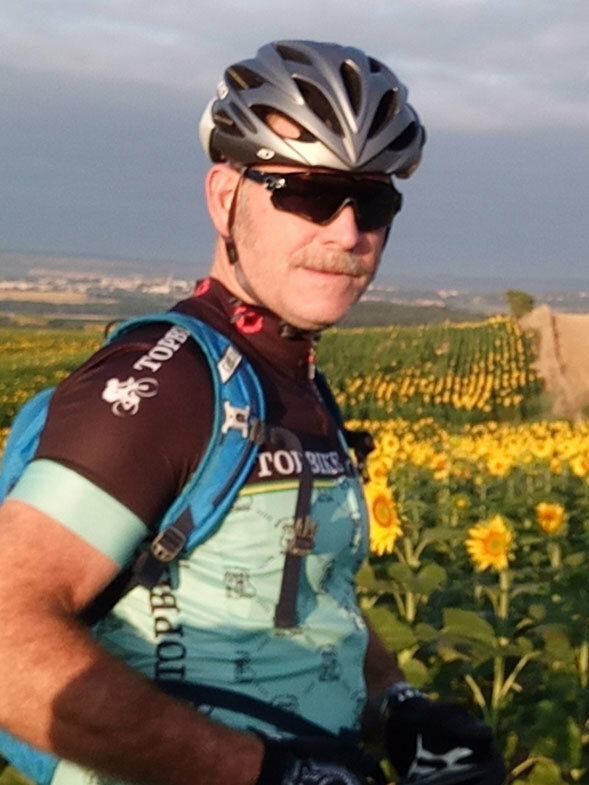 David Olle has been involved in cycling for more than 30 years, for David Topbike fulfills his life dream ‘find a job you love and you’ll never work a day in your life’. 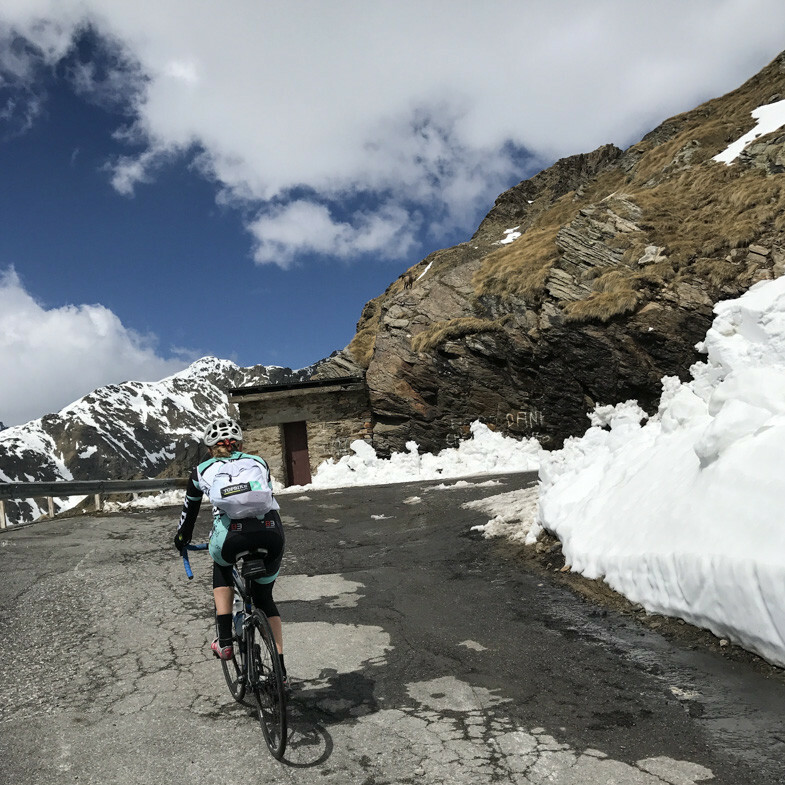 David has himself raced bikes from club to world level, and done mountains of road riding and touring. 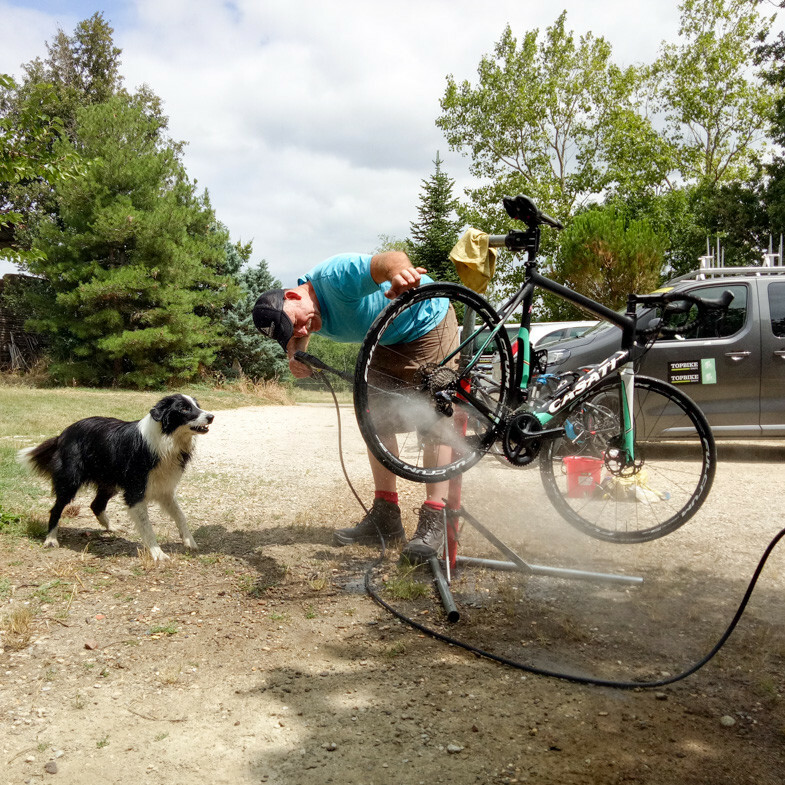 He is qualified in first aid, is a level one cycling coach and has managed the Australian Mountain-bike Team at five World Championships (whilst Cadel Evans was a member of the squad). 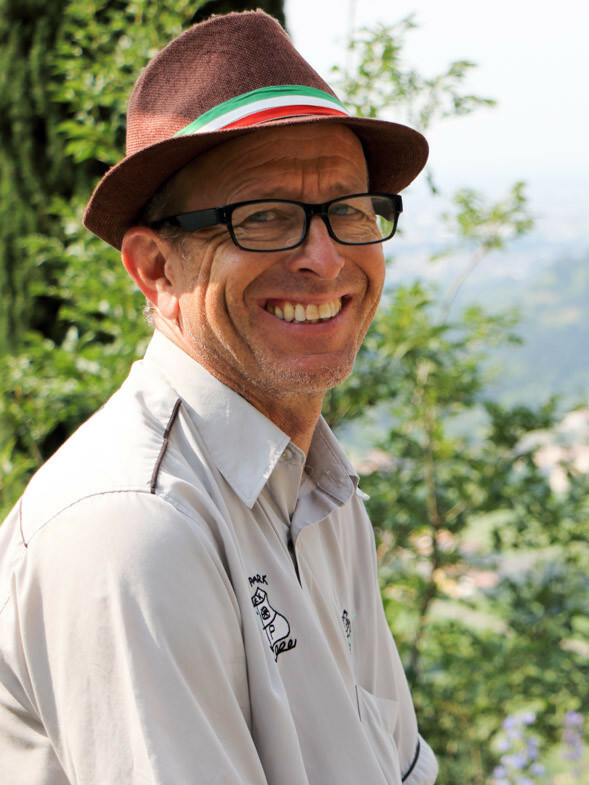 David has covered the Tours of France, Italy and Spain for magazines and worked at the Sydney 2000 Olympics and Melbourne 2006 Commonwealth games as a cycling journalist. He has supplied commentary on these and other cycling events for Melbourne and National radio stations. David conceptualised and produced six seasons of the TV show ‘Cycling Sooty Park/Topbike TV’ and the radio show ‘Cycling DnA’. 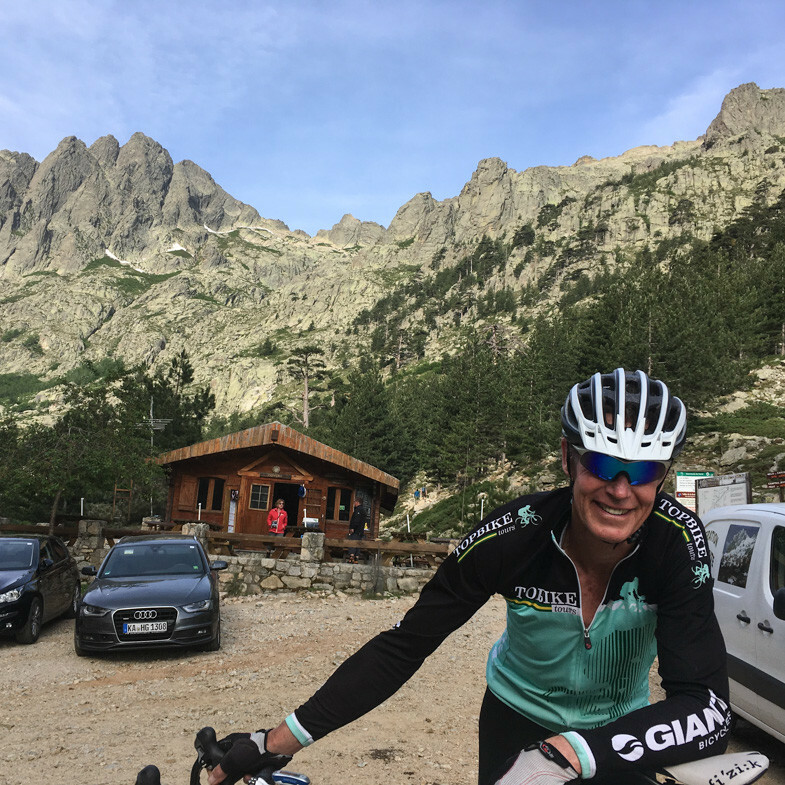 Trained in customer service, David ensures that each of his clients enjoy a special cycling holiday of a lifetime. 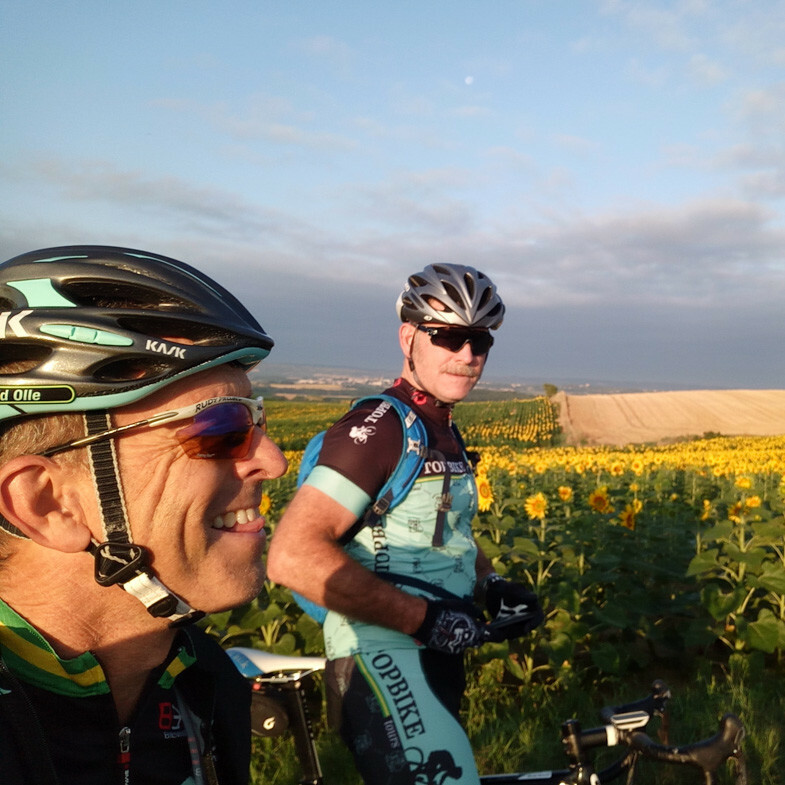 David now writes a very popular daily report “In the (Time) Zone” from all the big bike races, covering many aspects including social, local cuisine, culture and of course cycling. 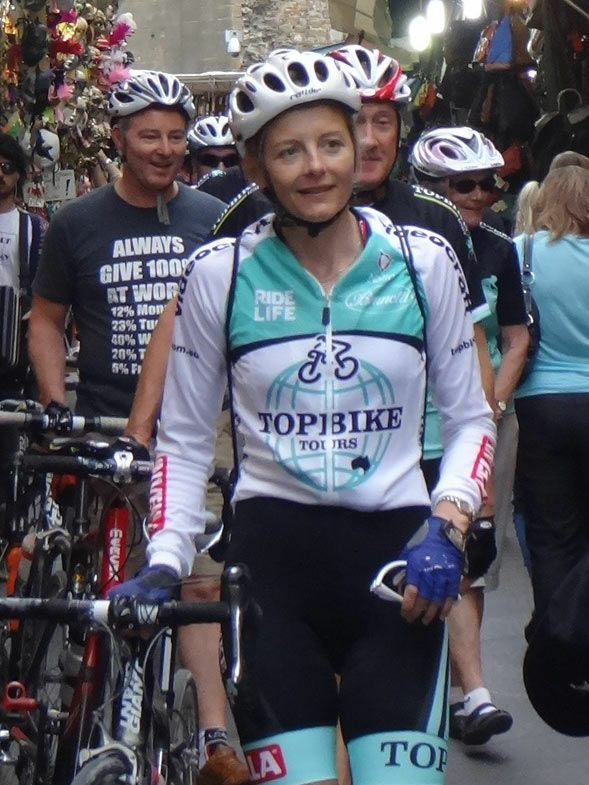 Emma Colson (David’s wife) has been involved with all things Topbike since 2003. 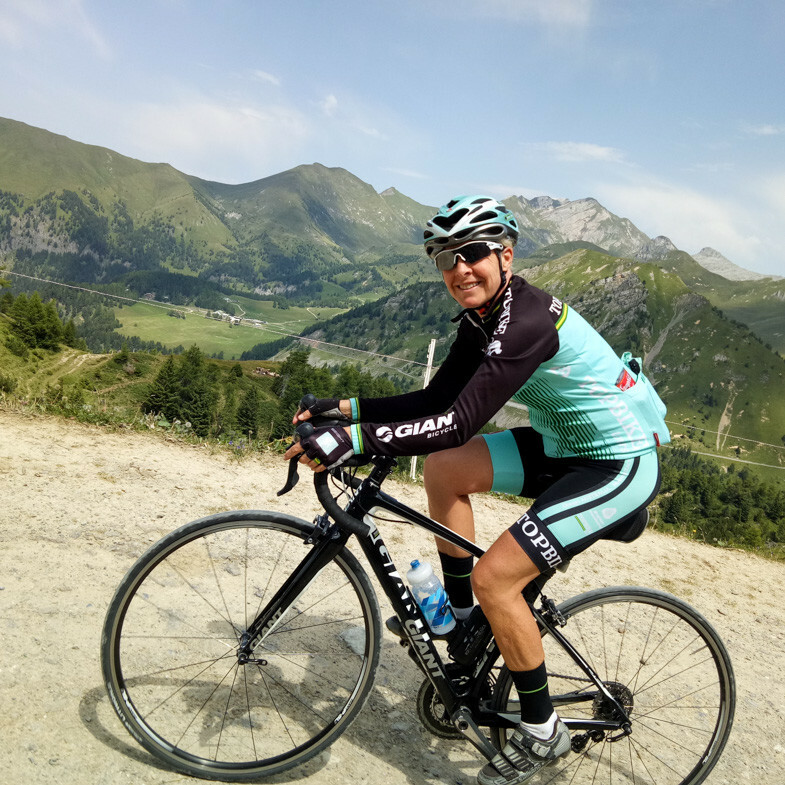 She has previous experience in Europe as Emma was physiotherapist to the Australian Women’s Road Cycling team for many years while they were based in Italy. When in Australia Emma operates a Physio practice that specifically looks at bike set-up and positioning and management of cycling injuries. Emma was previously a competitive cyclist who raced Mountain Bike at National and International level and was a representative for Australia at the Commonwealth Games. Nowadays Emma prefers to take in the scenery and consume lots of coffee! Jamie’s race bio is too long to fit on one page but of note he won the Australian National Road Cycling Title in 2000, picked up two wins in the ‘Warnie’, bagged heaps of other wins in Europe, won the Sea Otter Classic in the USA, had stage wins at the Herald Sun Tour and also raced the 2001 Paris-Roubaix. 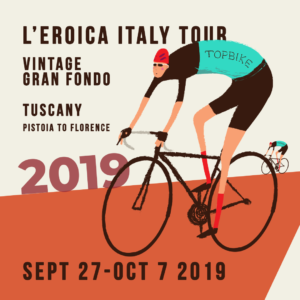 Fluent in Italian and rough in a few other languages, Jamie these days rides at a more leisurely pace, preferring to clock up maximum ‘time in the nicks’ at the coffee shops and bars along the way! 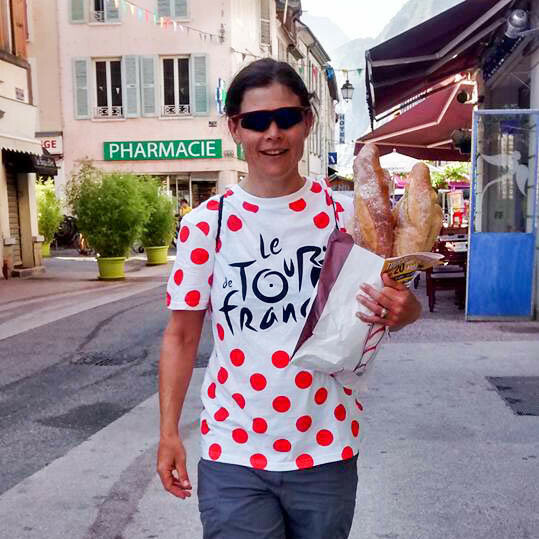 Annabelle AKA ‘Annabella Fashionista’ is a former professional rider in the Giro d’italia Femminile and the women’s Tour de France. 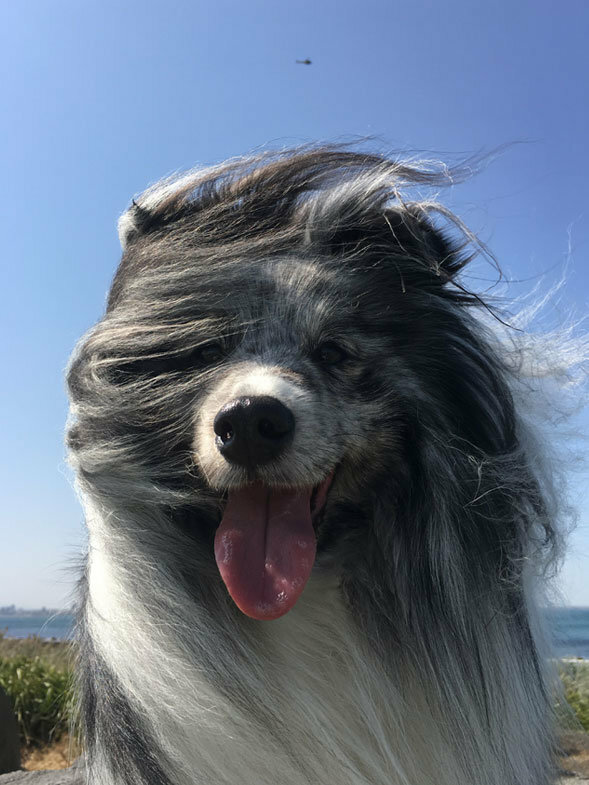 Annabelle is fluent in Italian after having lived in the country for many years. 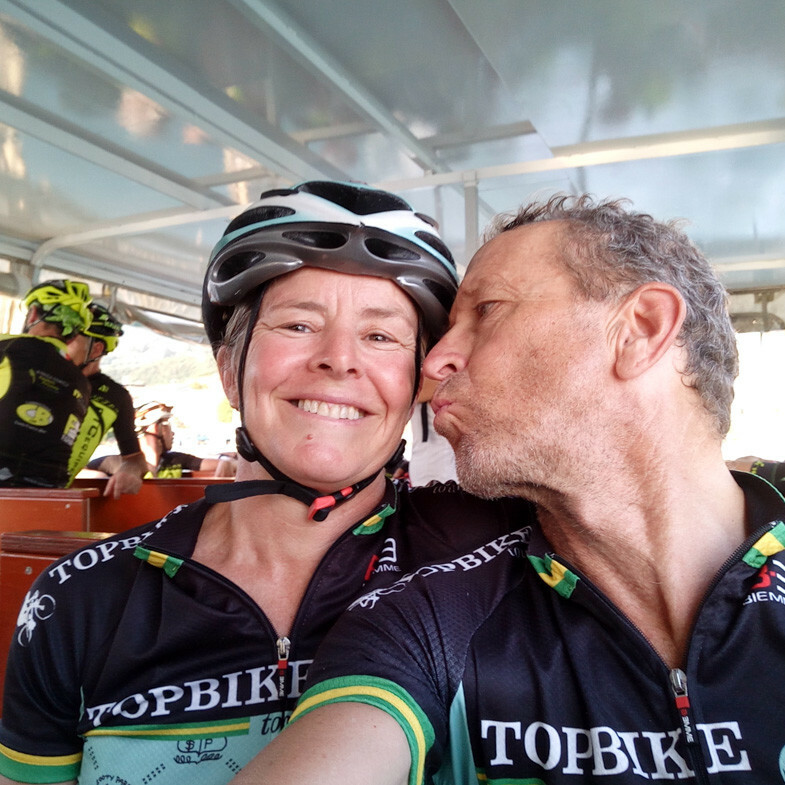 Fully versed in all things cycling, Annabelle also appeared with Dave for six seasons as co-host on Melbourne’s own national cycling TV show ‘Topbike TV’ and has done one summer on radio 3RRR’s ‘Cycling DNA’. 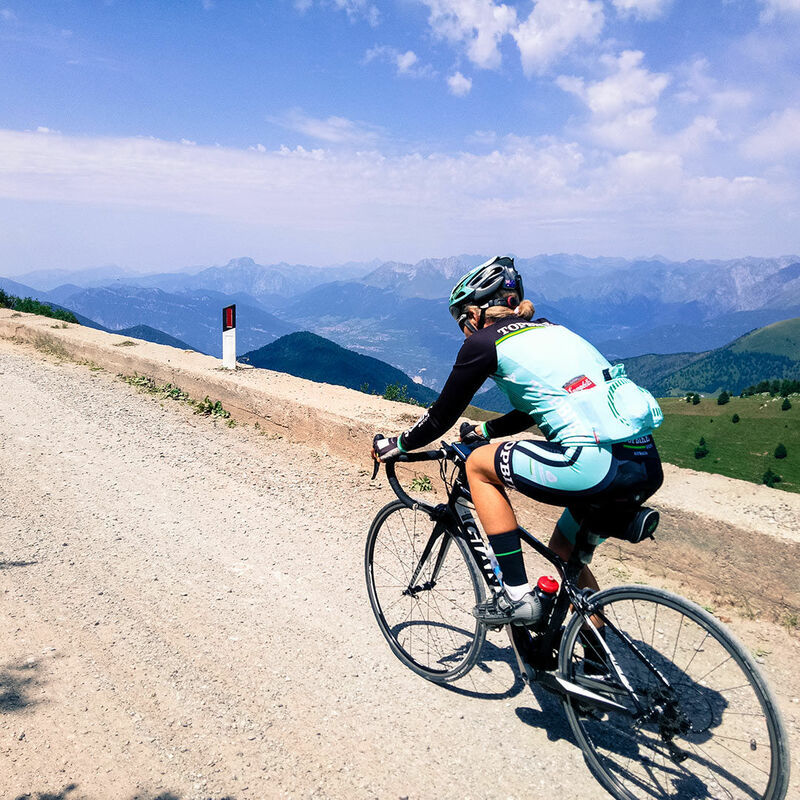 Annabelle is a regular Topbike Tour guide (and client favourite) on the Giro d’Italia, Sicily and La Vuelta Espana Tours. There is never a dull moment when Annabelle is on tour. After six years on communtiy television Annabelle has turned ‘Pro’, and is now steering the caboose on SBS’s podcast ‘The Sag Wagon’. 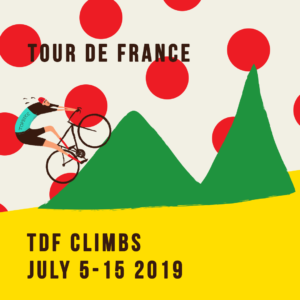 Intuitive, erudite and incisive analysis of all the things mainstream TdF reports neglect, guaranteed. Olivia (Liv) Gollan was a professional cyclist from 2002 until 2008. 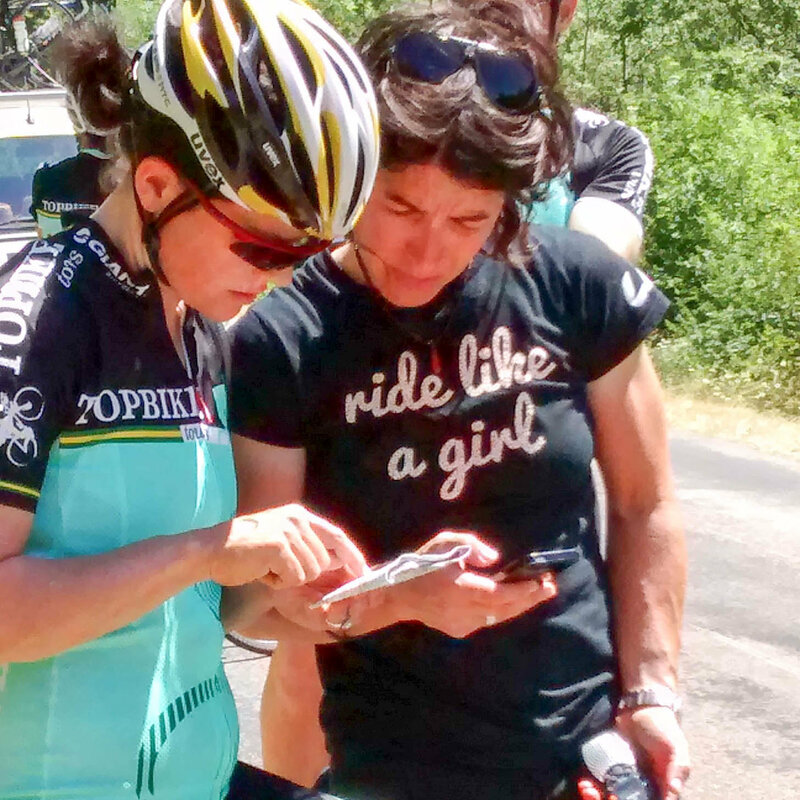 During this time she raced with the Australian Institute of Sport Women’s Road Team and European professional teams, Menikini Selle Italia and Nurnberger Versicherung. Olivia represented Australia at the Athens Olympics, the Melbourne Commonwealth Games and competed in 8 World Championship events for the Australian Women’s Road Team. She retired in 2008 because she was getting long in the tooth and a regular Ashtanga Yoga practice is now helping her to stand up straight. Olivia currently works as an English Teacher in Newcastle NSW, leads the Liv/Giant Newcastle Ride on Saturday mornings and loves an annual gig as a Top Bike staffer. Kahn has a jovial personality and is capable of carrying on a conversation with a mouth full of marbles under water. When he is not talking, it is only a pause to eat! Anna Wilson’s career highlights include two silver medals at the 1999 World Championships in Italy, two fourth places at the Sydney Olympics and one medal of each colour at Commonwealth Games level. Anna has a host of international wins in road and time trial and has both a time trial and road national title to her name. Anna was the first female to win the Australian cyclist of the year award in 1999. 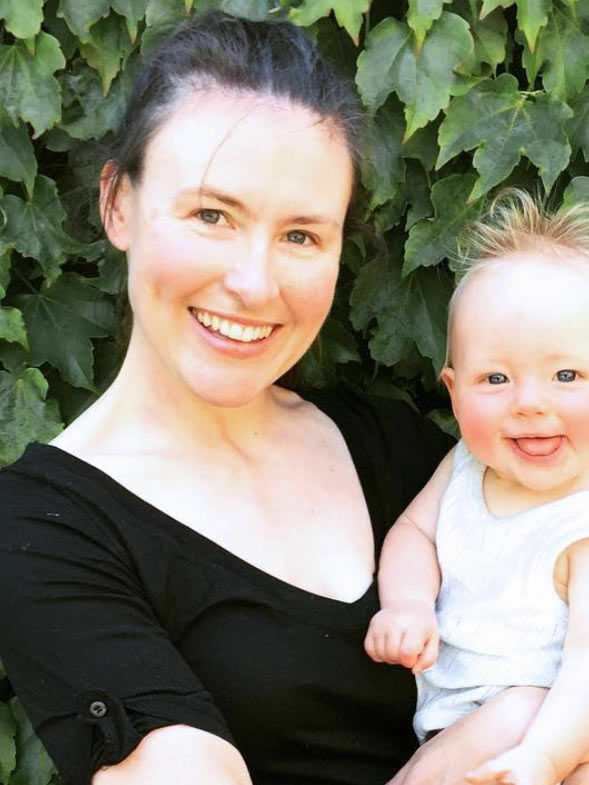 Now using her brain more than her brawn, Anna works in Melbourne as a lawyer at the bar and has a small child. Hence most of her competitive cycling these days is in the commuter Olympics on her way to work. Anna is fluent in German and can order beer and Pizza in Italian. We hope to see her staffing for Topbike again in the near future. Niki Fisher is one of Australia’s top female mountain bikers and has competed in Australia and Europe for the past 10 years. 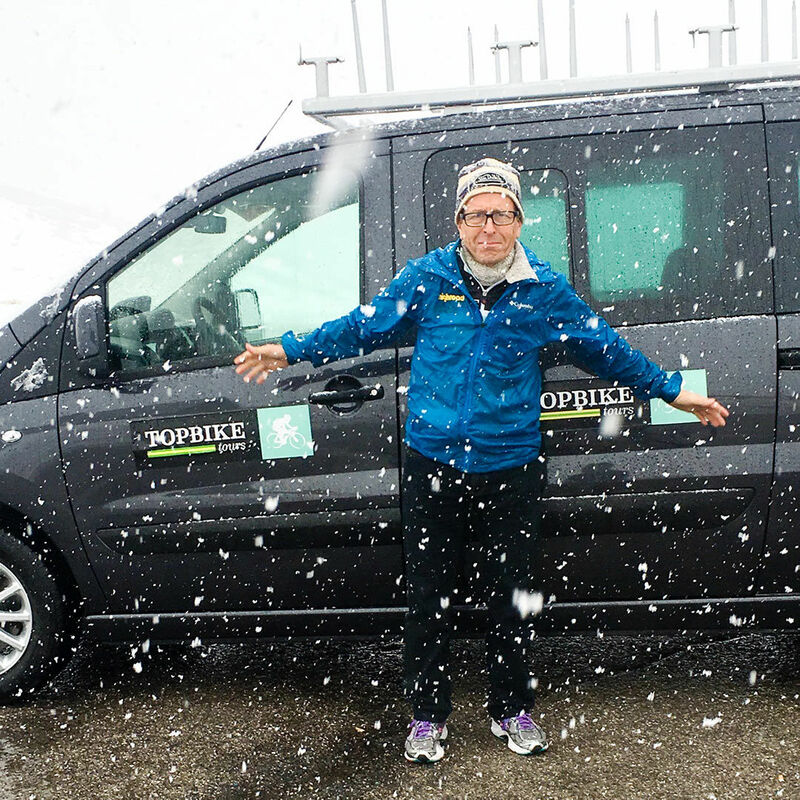 A graphic designer, Niki does the graphic design for all Topbike’s publications. She is softly spoken with a kind hearted and gentile manner that gives no cue to her athletic talents and ability. 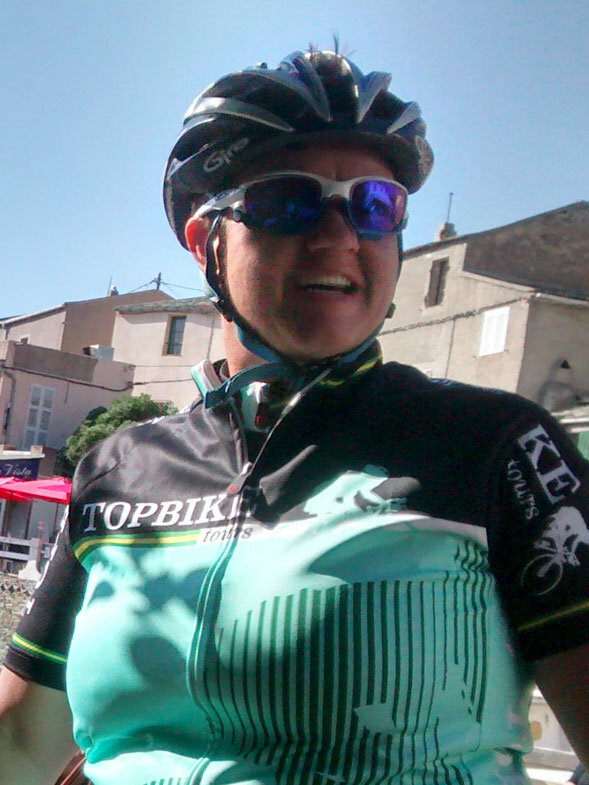 Niki loves riding her bike and has a passion for all things cycling and a spirit of adventure. 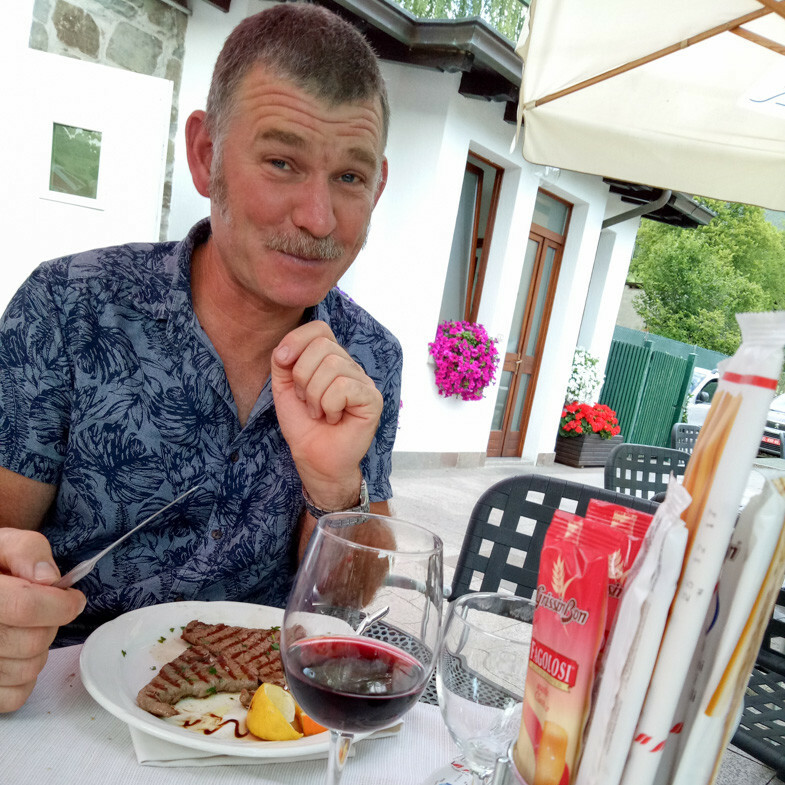 Niki in reasonably accomplished in the Spanish language, has lived in Europe whilst racing and is currently learning Italian.